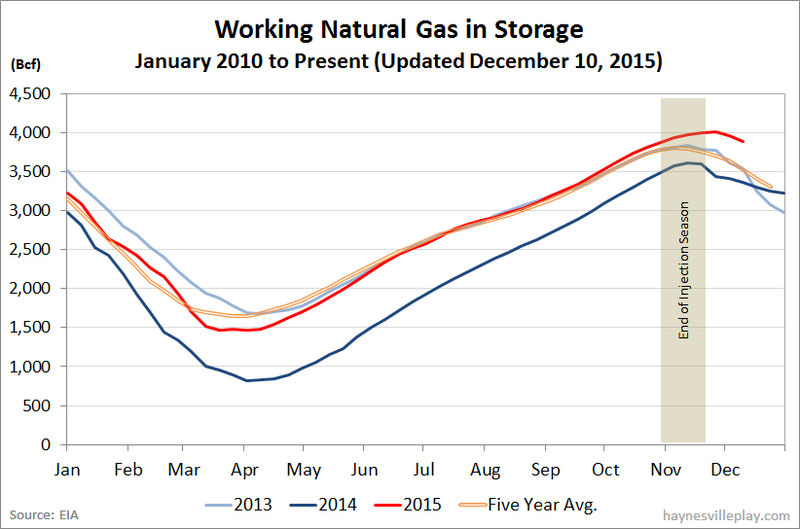 The EIA reported this morning that working gas in storage was down 76 Bcf to 3.88 Tcf. The weekly withdrawal was 62% greater than last year (-47 Bcf) and 17% higher than the five year average (-65 Bcf). 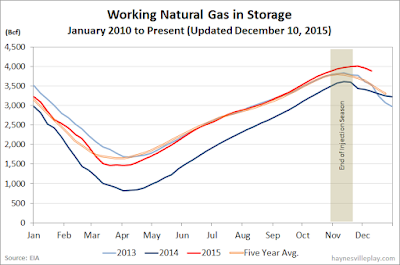 The current storage level is now 15.3% higher than last year (3.366 Tcf, a difference of 514 Bcf) and 6.5% above the five year average (3.644 Tcf, a difference of 236 Bcf).